Although installing a WordPress blog is not that hard, but managing and tweaking it for professional use requires much more efforts. There are two ways to get things done while administrating your blog. Either you can start everything from scratch that requires in-depth technical knowledge or you can opt for specialized tools that can make things easier even for a new administrator. Fortunately, WordPress has a large community of developers that continuously come up with useful tools and plugins to help administrators do their jobs in a better and easy way. I've handpicked some of the best tools that will not only help you manage your blogs in a better way but will also save your lot of time. All these tools are completely free-to-use and have been tried by a large number of users. You can even extend some of these tools to create your own unique solutions that may be used by others in the WordPress community. SwitchHosts - I use this tiny yet extremely powerful Firefox plugin every week while installing or transferring WordPress blogs. I'll explain its usage in simple words. While installing a WordPress blog you may need to visit its URL to complete the task. But generally, the name server propagation is either taking place at that time or its DNS is still pointing to the old host. This makes it very difficult to easily install and log in your newly installed admin dashboard. This handy plugin simply maps your web server's IP address with the domain name on which the blog is going to be installed. You can get your server's IP address from your hosting dashboard or you can ask support executive about the same. This way, you can easily complete the installation task without changing name servers to the new host until the process is complete. This also ensures that during the entire blog transfer process, the downtime is negligible. While making an entry of your blog's domain name, make sure you include both non-www and www entry as shown in the image. InfiniteWP - This powerful and free WordPress blog management tool is a must-have for those administrators who regularly maintain large number of blogs for their clients. It is made up of two major parts. The first one is the centralized administration dashboard that is installed separately on a web server and the second part is a plugin that is installed on each client's WordPress blog. Through a single admin account, you can not only monitor the health of locally or remotely installed blogs but can also manage plugin and theme installations in bulk. It also lets you take backups of all monitored blogs from a single location. This also includes restoration functionality to bring back a broken blog to life with a single click. This is one of the most stable and useful free systems to maintain multiple WordPress blogs from a single location. Advanced Custom Fields - Sometimes developers and freelancers need to extend a simple WordPress blog into a more complex website or portal. It often requires lots of custom fields that hold the meta-data related to various building blocks of the entire website. That's where this powerful plugin comes handy. Through this tool, you can easily create from simple to complex custom fields and that too visually from within the dashboard. The supporting API allows advanced users access and manage these custom fields directly within the code to create a full-fledged website. It offers dozens of types of custom fields that can be added to different pages and dashboards. Administrators also use it to create a custom dashboard for their clients that suit their requirements. WP-Control - This is a perfect solution for running select administrative tasks at predefined intervals. The plugin first lets you define your own cron schedules for maximum flexibility. Then you can use various plugin-generated hooks to trigger your automated tasks related to general WordPress management. Advanced users can find their own intuitive ways to use and leverage custom cron schedules. 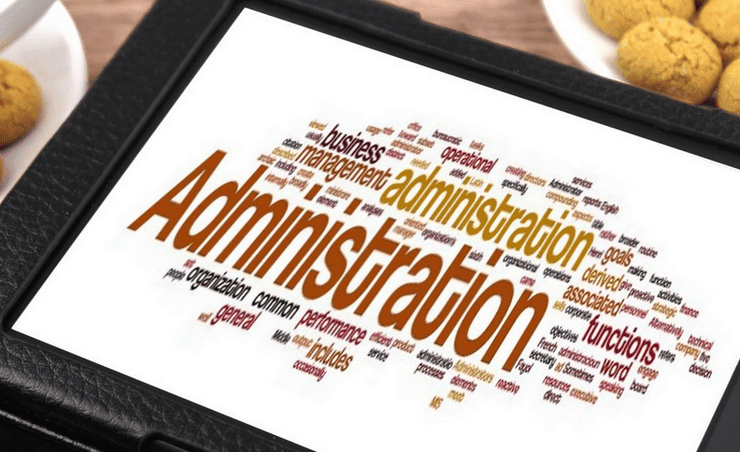 Here are some of the examples that guide you to use WP-Control for different administrative tasks related to daily WordPress management. You can also use it to send notification alerts to authors or editors about completing a pending task. In simple words, the scope of its usage is literally infinite and entirely depends on your imagination and creativity. The examples give you the starting point to explore and build more useful automated solutions for your blogs. User Switching - I often use this plugin while troubleshooting common problems on a client's blog. It is also a handy solution for theme developers who regularly test options under different accounts with different levels of privileges. As the name implies, this handy tool lets you switch between different WordPress accounts with a single click. It works seamlessly with multisite installation as well as with BuddyPress. Its strong security system keeps the check on who can switch accounts and who cannot. Administrators managing multi-author blogs can find this plugin very useful for testing various options while allocating work to each and every account. It also works well with SSL which is generally used for secure access to the administration panel. WP-Mass-Tools - I found this excellent set of shell scripts ideal for webmasters managing multiple WordPress blogs on a single server in a VPS or dedicated environment. These useful routines make the installation, updates, and backup tasks very easy and let you apply important changes on all of the active blogs in one go. These scripts are designed to work with cPanel-based servers, but you can modify them to work with other panels as well. Following are some of the important routines available in this free package. Note: These powerful scripts are not designed for shared hosting accounts. Bulk installation - You can use wp-create.sh shell script to perform multiple WordPress installations through interactive prompts. This speed up the installation process letting you deploy large number of blogs very quickly. Mass plugin compatibility test - Whenever a new version of WordPress is released, bloggers often worry about plugins compatibility. Sometimes, upgrading to the new version breaks the entire site simply because a plugin is not compatible with the new version. This handy shell script wp-mass-plugins.sh checks the compatibility of every single plugin installed on all blogs against the new WordPress version and presents you with the list of all incompatible plugins. Bulk WordPress update - And last but not the least is an important shell script wp-mass-upgrade.sh that can be used to update all the blogs in one go. It also has a notification system that informs all the users before performing an upgrade. If you're not comfortable with Unix shell and the related general commands, I'll strongly suggest you look for an alternative. These scripts are intended for average to expert webmasters that have full control over the server and are familiar with Unix/Linux shell environment.